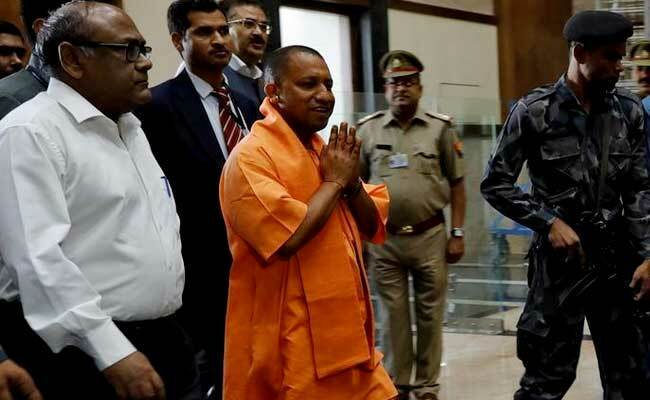 At his closed-door meetings, Uttar Pradesh's Chief Minister Yogi Adityanath has over the past few weeks frowned at the large number of holidays in the state. Government employees in the state get 40 holidays, more than twice the number allowed elsewhere in the country. Add up the number of weekends and other leaves that an official is entitled to, and it turns out that a state government employee can stay home almost every second day. On Friday, Chief Minister Adityanath started with the schools. "There should be no holidays in schools on birth anniversaries of great personalities. Instead special two-hour programme should be held to teach students about them," Mr Adityanath said. If the idea was to perpetuate the memory of the great personalities, the Chief Minister said, children should be motivated on these days to learn about the personalities and their contribution for the country. "There will be no discrimination and injustice in this government rule," he said at a function to mark the 126th birth anniversary of Dr Bhim Rao Ambedkar that was first declared a holiday nationwide by the Centre after a sustained campaign by the Bahujan Samaj Party founder Kanshi Ram back in the nineties. The Chief Minister has already told officials to target increasing the number of school days in a year from 120 days to 220 days. Mr Adityanath's insistence on pruning the list of holidays is a marked departure from the accepted practice in the Samajwadi Party government to use holidays to reach out to a particular community. So there is a holiday for birth anniversary of Kapoori Thakur, a former Chief Minister of neighbouring Bihar, to reach out to the barber caste, Parashuram Jayanti for the Brahmins, former Prime Minister Chandrashekhar Jayanti for the Thakurs, Acharya Narendra Dev for the Kayasthas, Hazrat Ali for Shia Muslims and Khwaja Ghareeb Nawaz for the Sunni. If Chief Minister Adityanath is able to go beyond cutting holidays in schools, it would be a remarkable feat. There have been several attempts to reduce the number of compulsory holidays at the central government over the last two decades. The Fifth Pay Commission in the 1990s and the Sixth Pay Commission that came a decade later had recommended pruning the number of compulsory holidays, also called gazetted holidays, from the existing 17. But this recommendation was promptly rejected. The Seventh Pay Commission saw the writing on the wall and said there was no harm in continuing with these holidays.